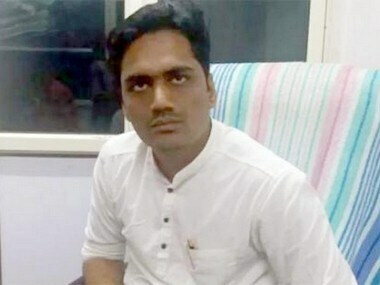 Hardik Patel launched his indefinite fast on 25 August from his house, demanding reservation in government jobs and education for Patidars and loan waiver for farmers. 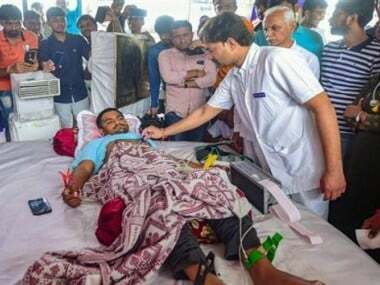 Patidar leader Hardik Patel was on Friday shifted to a hospital after his health deteriorated on the 14th day of his indefinite fast in Ahmedabad. 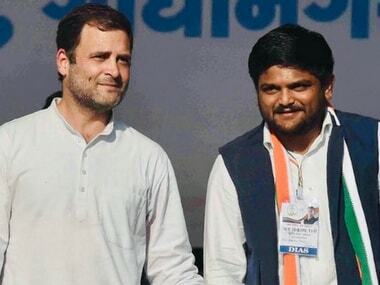 The Gujarat Congress on Thursday announced that it would observe a 24-hour fast on Friday in support of Hardik Patel if the state government did not begin talks with the Patidar leader. 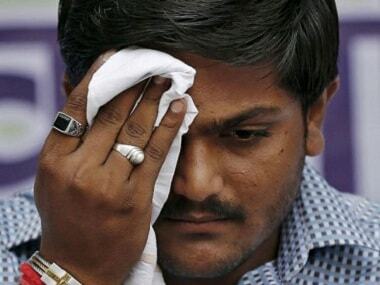 Patidar agitation spearhead Hardik Patel, who is on an indefinite fast since 25 August, on Thursday night gave up taking water to press for the demand for reservations for his community and loan waiver for farmers. 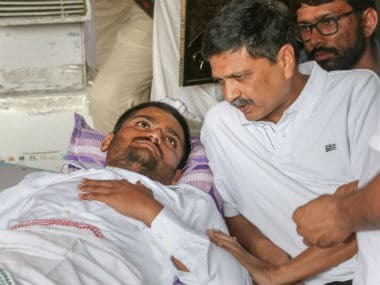 Patidar leader Hardik Patel launched his hunger strike on 25 August, the third anniversary of his mega pro-quota rally in Gujarat's Ahmedabad that had turned violent. Patel-led Patidar Anamat Andolan Samiti (PAAS) has moved the court, alleging that police are not allowing people to meet him.